At EvidenceCare, we strive to improve the healthcare experience for everyone. Antibiotic stewardship is one of the main areas our tool helps clinicians and hospitals. In this second installment of our series on antibiotic stewardship, we’re discussing where the problems are in the current state of antibiotics. Overprescription is an issue across care settings. 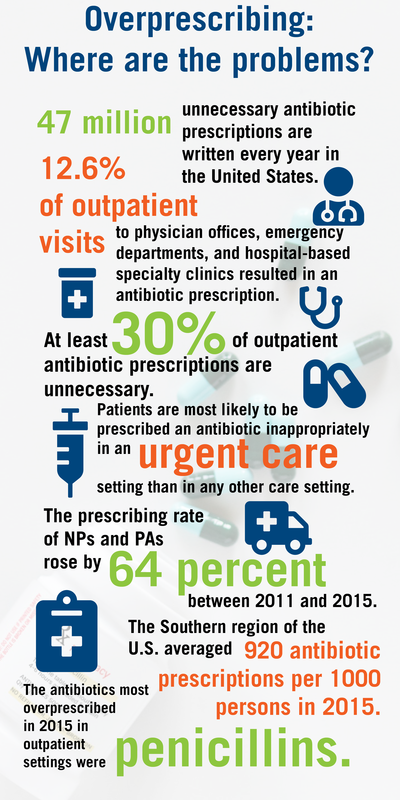 However, data continues to be released that suggests a need to focus antibiotic stewardship efforts on outpatient healthcare settings. Overall, the study found that 12.6 percent of outpatient visits to physician offices, emergency departments, and hospital-based specialty clinics resulted in an antibiotic prescription.‍ The unnecessary prescriptions appeared to be written most often to patients 20 to 64 years old with the least amount written to those over 65. In a study from the American Academy of Pediatrics, researchers specifically analyzed outpatient antibiotic use. With more clinicians writing more prescriptions, there are more avenues than ever for patients to receive antibiotics. And not only does research appear to be pointing at the outpatient setting. It appears to call out the urgent care environment in particular. A study released by JAMA in July compared antibiotic prescribing across multiple care settings, focusing on antibiotic-inappropriate respiratory diagnoses. The study found that patients were most likely to be prescribed an antibiotic inappropriately in an urgent care setting than in any other care setting. A synopsis of the study published on the American Pharmacists Association’s website states that 39 percent of the 2.7 million urgent care center visits evaluated in the study were linked to antibiotic prescriptions. 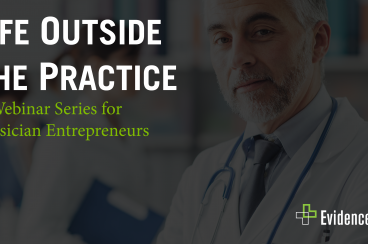 This is compared to the 36.4 percent of the 58,206 retail clinic visits, 13.8 percent of 4.8 million emergency department visits, and 7.1 percent of 148.5 million medical office visits that resulted in antibiotic prescriptions. However, it’s not just the outpatient setting that may need special attention when it comes to antibiotic stewardship initiatives. The same AAP study mentioned above also states that the Southern region of the U.S. appears to be in the worst condition as far as overprescription of antibiotics, averaging 920 prescriptions per 1000 persons in 2015. The focus appears to be on specific medications as well. According to the CDC, the antibiotics most overprescribed in 2015 in outpatient settings were penicillins, with 61.6 million prescriptions, macrolides with 49.4 million prescriptions, and cephalosporins with 36.3 million prescriptions. We’re all a part of the problem. Many clinicians believe that when addressing overprescribing problems, they are not part of the problem. It is easy to feel as though the issues are a result of everyone’s actions but your own, but the data simply doesn’t show this. We’ve all done our part to contribute to the overprescribing issue, but we can all also do our part to increase antibiotic stewardship efforts and stick to them. EvidenceCare is dedicated to being a part of the antibiotic stewardship movement. That’s why we’ve made a tool designed to be used across all care settings by all clinicians. Whether you’re in the emergency room or a walk-in clinic EvidenceCare is there for you to use at the bedside on your computer, tablet, or smartphone. We’ve also created an Antibiotic Advisor written and reviewed by Frank LoVecchio, DO, co-medical director at Banner Regional Poison Control Center and vice chairman of the Maricopa Medical Center department of emergency medicine. This Antibiotic Advisor is available from our home screen but is also embedded directly into each of our protocols, for quick access at the bedside with a patient. We allow you to make the information as patient-specific as you like and suggest treatment plans to you based on the information you provide. Along with dosage suggestions and pharmacy-specific pricing, we also work with GoodRx to provide medication coupons for the patient directly from the protocol. It’s hard to be dissatisfied with a clinician saving you money. It’s also completely free. Convinced yet? Sign up for your account here.